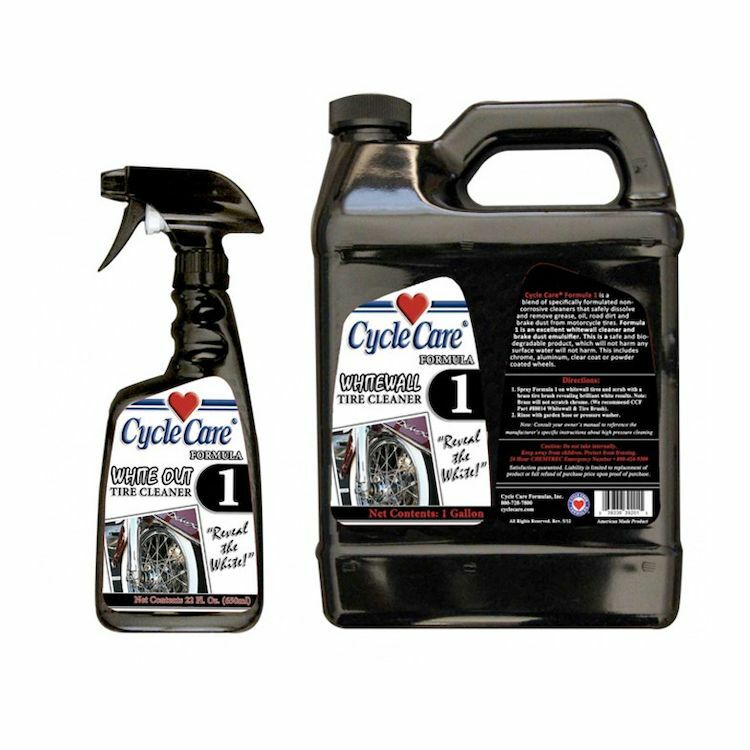 Cycle Care Formula 1 is a blend of specifically formulated non-corrosive cleaners that safely dissolve and remove grease, oil, road dirt and brake dust from motorcycle tires and wheels. Formula 1 is an excellent white wall cleaner and brake dust emulsifier. Safe and biodegradable product, which will not harm any surface water will not harm, such as chrome, aluminum, clear or powder coated wheels and etc.